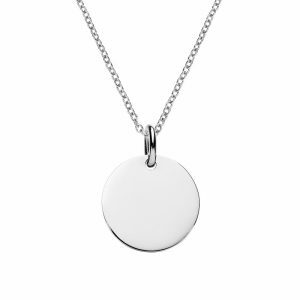 The custom designed silver disc looks beautiful engraved with an initial. 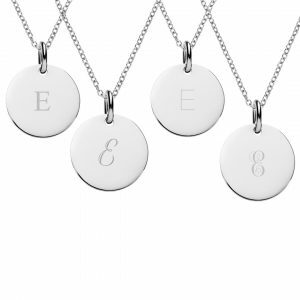 Choose from 5 different fonts to create the perfect silver initial necklace. 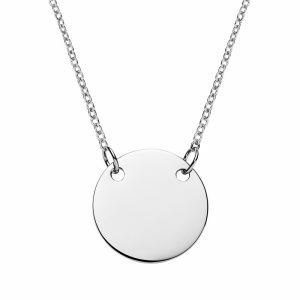 You can also personalise with a message or symbol on the back of the disc pendant. 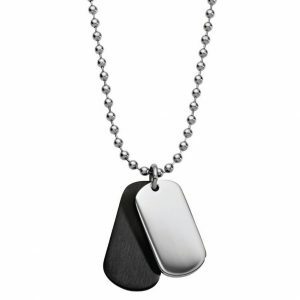 Free engraving & delivery. 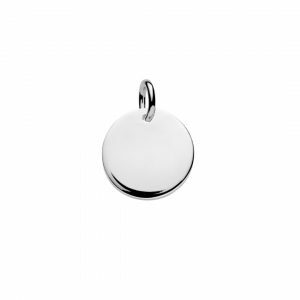 Click “START DESIGN” button below to add an initial to the silver disc pendant. 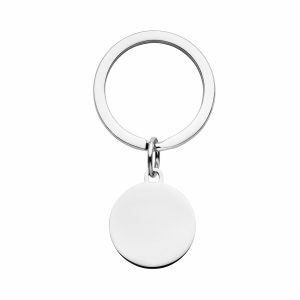 Simple is often the best, we advise no more that 6 shorts words (approx 30 characters) and don’t forget you can engrave symbols too. The Silver Store also offers a custom engraving design service if you have something specific in mind such as a logo or symbol with special meaning.